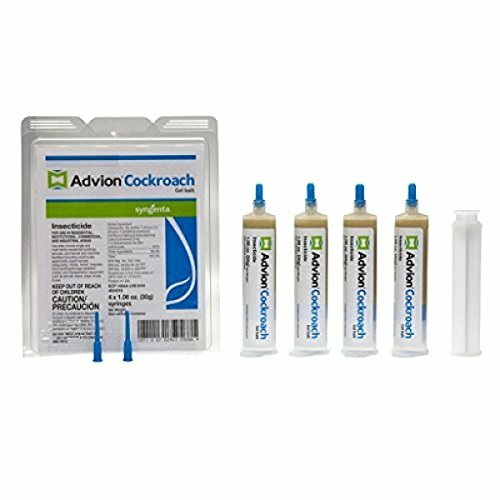 Details: Advion Cockroach Gel Bait is designed to control pest species of cockroaches such as German, American, Australian, Smoky-Brown, Brown, Asian, Oriental, and Brown-Banded. 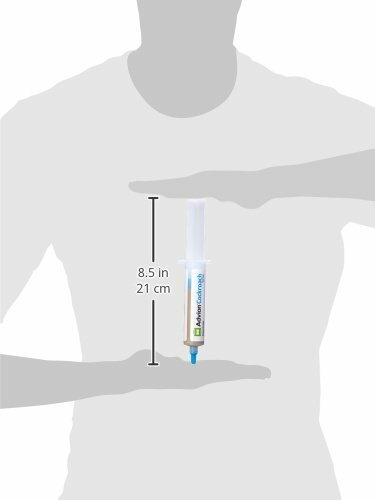 Active ingredient – Indoxacarb 0.6% 4 x 1.06oz (30g) syringes For use in Residential, Institutional, Commercial, and Industrial areas. Advion Cockroach Gel Bait can be used indoors or outdoors as a crack and crevice treatment within residential homes, industrial facilities, offices, warehouses, commercial kitchens, hospitals, schools, nursing homes, hotels, buses, trains, aircraft, retail and commercial establishments, and other areas infested with cockroaches Do not treat areas that are easily accessible to children and pets. Keep out of reach of children. Read the complete label and follow all applicable instructions before using.